What they discovered was a pattern of mistakes relates to each tongue twister. What does all that have to do with your ear health? The tongue twisters we face in adult life are not as clever as “Rubber baby buggy bumpers” but they can be just as tricky. Medical terminology is a fine example of this in action and the hearing health industry is full of many of these types of tongue twisters. Even if you can’t say them fast, you still need to understand them and know what they mean for you and your ears. 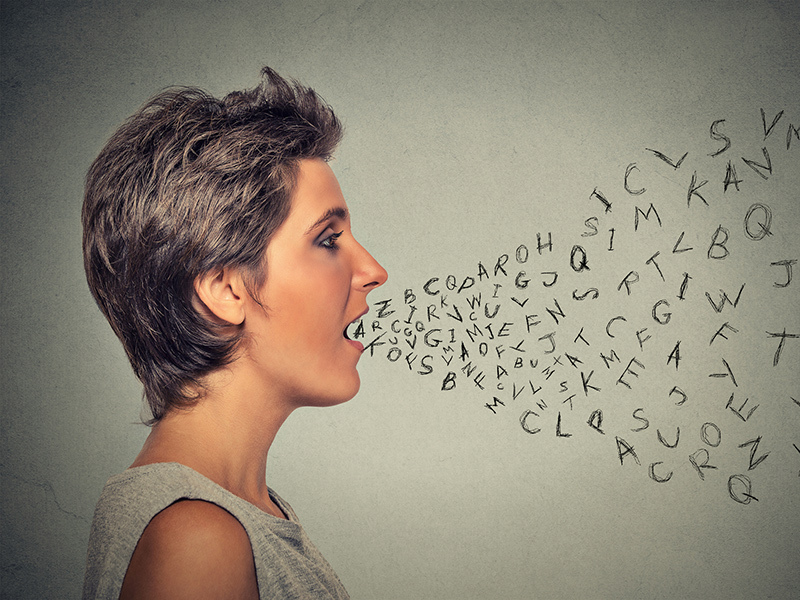 Consider seven tongue-twisting words that you should know. That’s a tricky word. It’s pronounced like this: [oh-toh-lar-ing-gol–uh-jist]. An otolaryngologist is an ear doctor with a focus in otorhinolaryngology – a medical-surgical subspecialty for the study and treatment of conditions that affect the ear, nose and throat. Doctors who study this specialty may also be called ENT surgeons. Their job is to do surgeries of the ear, nose, throat and base of the skull. This is the specialist you would see for many different procedures including cochlear implants. An otolaryngologist is a physician who must complete an additional five years of surgical residency training. Once done, he or she undergoes fellowship training that lasts one or two more years. That’s is a real tongue-twister. Sensorineural pronounced: [sen-suh-ree-noo r-uh l] and it indicates a very specific kind of hearing loss. Sensorineural hearing loss, known also as sensory hearing loss, means you have a problem with the inner ear problem that is affecting your hearing — typically involving the hair cells in the cochlea. That is not the same thing as conductive hearing loss, which refers specifically to the movement of sound waves toward the inner ear. It is estimated that about 90 percent of hearing loss falls under the category of sensorineural. Yeah, that one is tough, too. The pronunciation is: [ô′dē-ŏl′ə-jē-kel] and it refers to something that is related to audiology, which is the study of hearing. Another word that falls into that line of thinking is an audiologist, which is a person that performs and interprets professional hearing tests such as the pure tone audiometry or the otoacoustic emission measurement. Those tests might sound like just more of the same tongue twisters but, ultimately, all these words describe the exam process used to assess your hearing deficits and strengths. The goal is to determine the level of hearing loss you might have and make recommendations for devices that can help like hearing aids. Hard to pronounce, [prez-by-coo-sis], but it is a word you do need to know. This is the condition that most people call age-related hearing loss. Presbycusis isn’t about age, though. It is the cumulation of various stressors that eventually affect hearing ability. Every time you put on those headphones, you are damaging the delicate mechanisms of the ear, leading you one step closer to that age-related hearing loss. It sounds a little like what you might play in band class, but tympanometry refers to a type of hearing test. Pronounced [tim-pan–ohm-i-tree], this exam introduces air pressure into the ear canal to see how the different components function. Specifically, it measures the mobility of the eardrum (tympanic membrane) and then tells the hearing specialist if there is fluid there, how well the middle ear system words and the ear canal volume. This word has critical meaning when it comes to hearing health. Pronounced [o-tuh-tok-sis-i-tee], it refers to something that is toxic to the ear and usually applies to medication. Certain types of antibiotics, for example, can cause hearing loss. This is also true for certain over-the-counter pain relievers like ibuprofen. If you worried, you should ask your doctor before taking a drug to find out if it is ototoxic. That one’s not quite so hard to say but it is a good one to know. Pronounced [aw-dee-uh-gram], this is a chart produced by a professional hearing test. It maps out the tones at different frequencies and how well you can hear them. Whether they twist your tongue or not, these are words worth understanding. Your hearing health relies on the little things you do to protect it like seeing an ear doctor regularly and getting a hearing test done. Now is a good time to educate yourself by learning the terminology that affects your ear health.